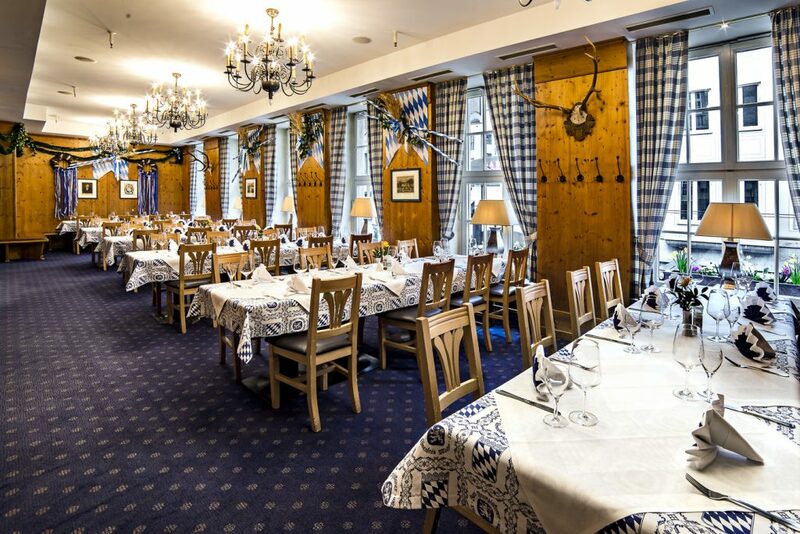 The König Ludwig-Saal’s Bavarian feel will captivate you. The walls are paneled with carefully selected wood, the furniture features warm tones, and a large wall of windows lets in stunning light, creating a comfortable atmosphere. 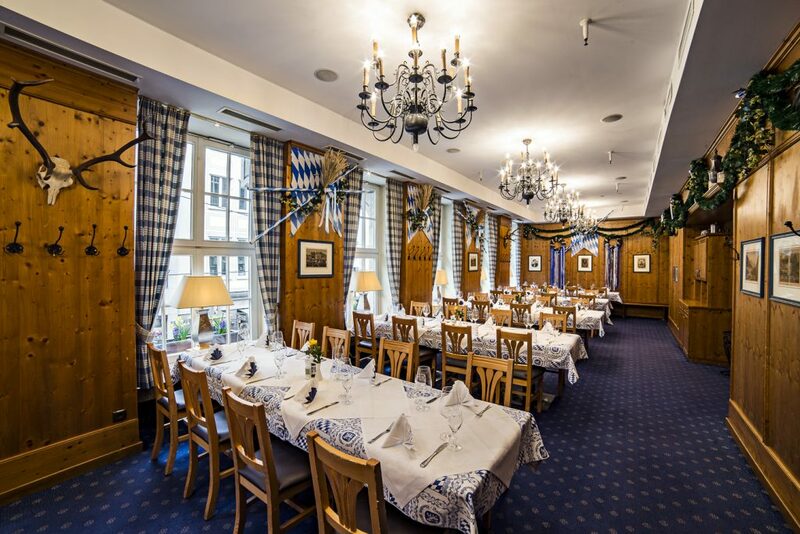 The König Ludwig-Saal is 62 square meters in size, with 3.20-meter-high ceilings. It’s also air-conditioned and provides plenty of space (14 by 4 meters) for about 30 to 70 guests. Movable walls provide privacy, even when the restaurant is crowded. 3. What kinds of celebrations are best? 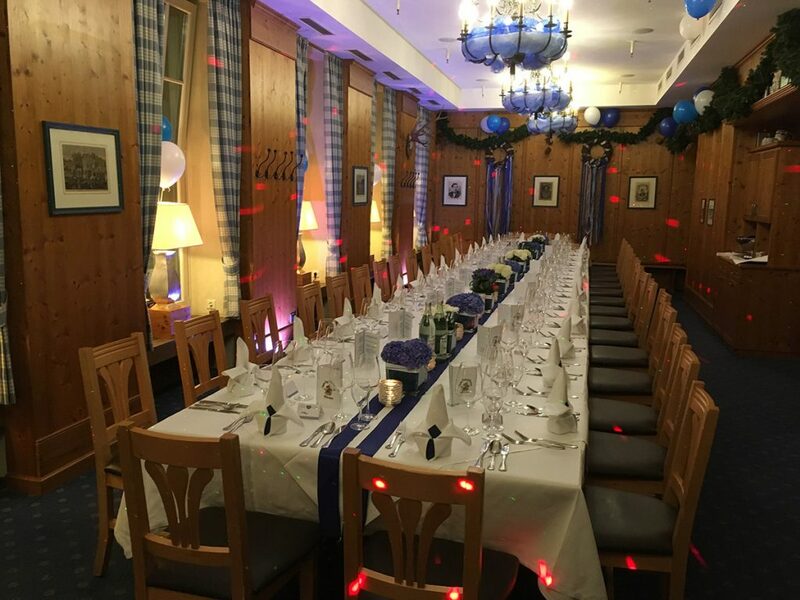 That’s up to you – we have experience with birthdays, baptisms, casual get-togethers, conferences, and celebrations that have successfully taken over the entire first floor (aka the “second floor”, for our American visitors). 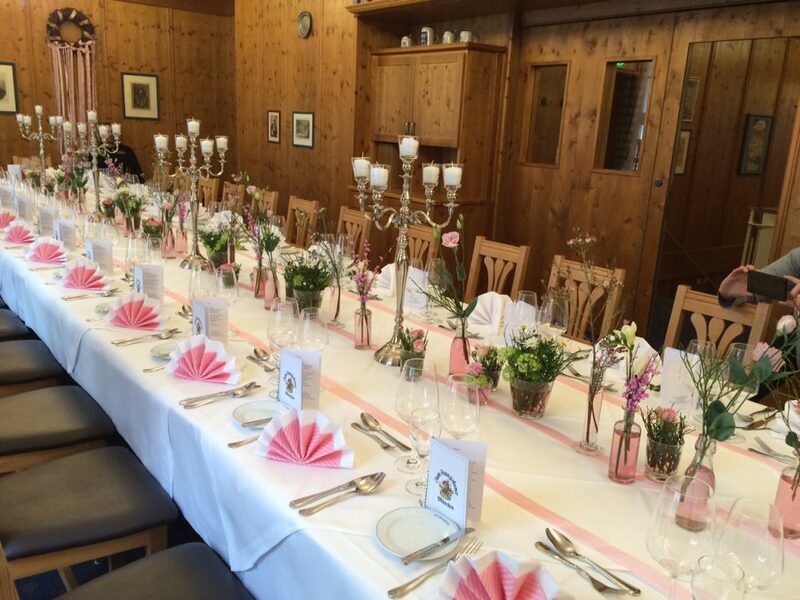 Guests are always pleasantly surprised by the huge range of what we offer. The first floor is just as comfortable as downstairs, of course, and is wheelchair-accessible thanks to its elevator. With its own private restrooms for ladies and men and a baby-changing room, what more could you ask for? 4. What are you waiting for? Contact us today. We’d love to help you plan your event. We’re also happy to offer you a personal tour. Just make an appointment and meet us in the first floor.